More than 25 years ago, a handful of environmental lawyers from around the world realized they could be more powerful if they worked together, but communications options were limited. The internet as we know it was only just beginning to exist. Email was a concept but not a daily fact of life. Information was available in newspapers, magazines, journals, and books. Sharing documents around the world was just a twinkle in academic eyes. These attorneys, attending gatherings like the University of Oregon’s annual Public Interest Environmental Law Conference, understood that communities and ecosystems faced similar threats globally, but environmental advocates lacked the ability to learn from each other, share strategies, collaborate, and tap the best science to protect fragile ecosystems and communities. And they also lacked the capacity to help protect each other from harassment and imprisonment. Attorneys from 10 countries came together with a plan: create a network to keep these public interest environmental lawyers connected. Thanks to start- up funding from the W. Alton Jones Foundation, the Environmental Law Alliance Worldwide (ELAW) was born. Today, ELAW links advocates in more than 80 countries. They communicate seamlessly through live video links and share critical scientific and legal resources through electronic pathways. But the goals of the organization haven’t changed: protecting the environment and marginalized communities around the globe. ELAW puts legal and scientific tools into the hands of grassroots advocates to level the playing field and head off environmental abuses. It takes passion, hard work, and a deep commitment to justice. Since 1991, ELAW has collaborated with the world’s leading grassroots advocates to win stunning victories for communities and the natural environment. “Celebrating Victories” is a collection of photo essays about the people and the communities behind some of our most inspired victories. In each essay, we tell the human story of an ELAW partner winning a battle to make the world a better place. This work is not for the faint of heart. As corporations extend their reach around the globe, many communities bear unjust burdens. These communities must be able to speak out to protect their environment, public health, and human rights. Advocates need to protect themselves from powerful forces that want to silence opposition. 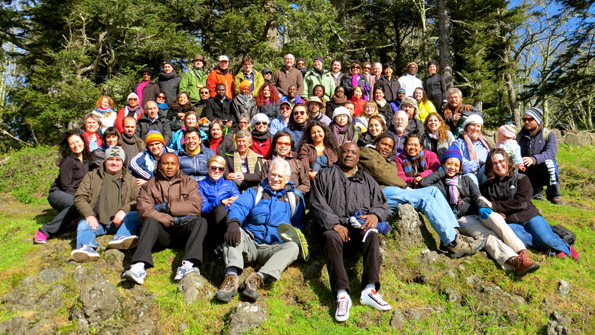 ELAW partners play a key role in securing environmental justice. Working together, we have helped our partners defend wild places, keep coal in the ground, protect communities from toxics, prevent environmental disasters, and secure lasting justice. We hope these stories of hard-fought wins give real hope to communities and grassroots advocates everywhere seeking a clean and healthy environment for our children, and our children’s children.